Listen Up: Who’s Who for You! Listen up folks! I recently appeared on an episode of VIEWS FROM THE LONGBOX! In this episode Michael Bailey and I discuss DC’s Who’s Who: The Definitive Directory of the DC Universe. 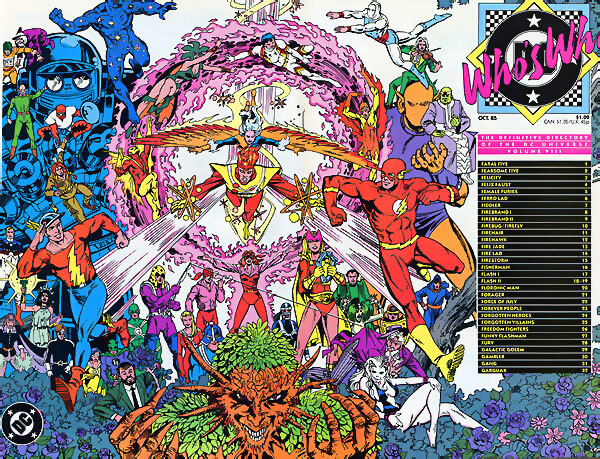 We cover everything Who’s Who related starting with the original 26 issue series and then getting into Update ’87, Update ’88, Who’s Who in the Legion of Super-Heroes, Who’s Who in Star Trek, the Binder series from 1990 to 1991, the Update ’93 from that series, the Impact Who’s Who and even the Mayfair Games binder set. It is about two hours of wall-to-wall reference material with a few personal interjections here and there. I had a blast recording this one. I hope you enjoy it too. Click here to visit the VIEWS FROM THE LONGBOX site for this episode.